How To Find A Hobby? Hobbies are fun ways to spend time and keep yourself emotionally and mentally healthy. How can you find a nice new hobby? This quiz will help you find a perfect pastime. Since hobbies are things you do to enjoy yourself, these quiz questions will just get to know you to show you how to find a new and fun hobby to do in your spare time. So, you are wondering how to find a hobby? 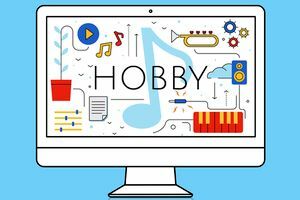 This fast and entertaining quiz will make it easy for you to know how to find the best hobby for your free time.